The major objectives of this manual are to provide students with hands-on experiences that are relevant, easy to understand, applicable to the student's life, and presented in an interesting, informative format. Ranging from field and lab experiments to conducting social and personal assessments of the environmental impact of human activities, the manual presents something for everyone, regardless of the budget or facilities of each class. 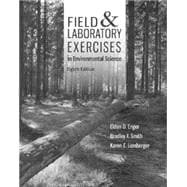 These labs are grouped by categories that can be used in conjunction with any introductory environmental textbook.